Why spin yarn when you can buy it at the store? For much the same reason many people garden or sew or do any number of things that are readily available to buy, We do it for the joy of doing it. Spinning fiber is the same. 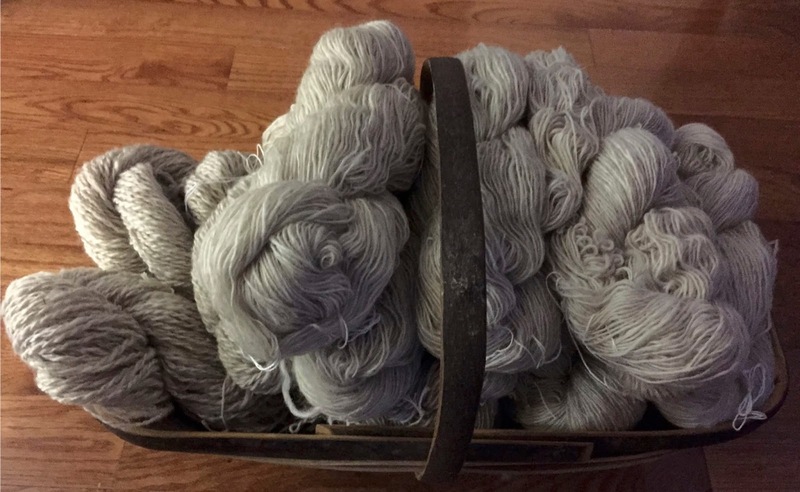 Some of us learn to spin to better understand fiber and its properties and others because the pastime is peaceful and the spun yarn, rewarding. Kids are intrigued--and they love to try to make yarn, too. Spinning isn't a difficult skill to learn. Like all other crafts, doing it well takes practice. Lots of practice. When the Navajo rug sparked my interest in learning to spin, it was the late 1960's and we lived in Ohio. No Internet to support research or speed my connection to resources. I was on my own. 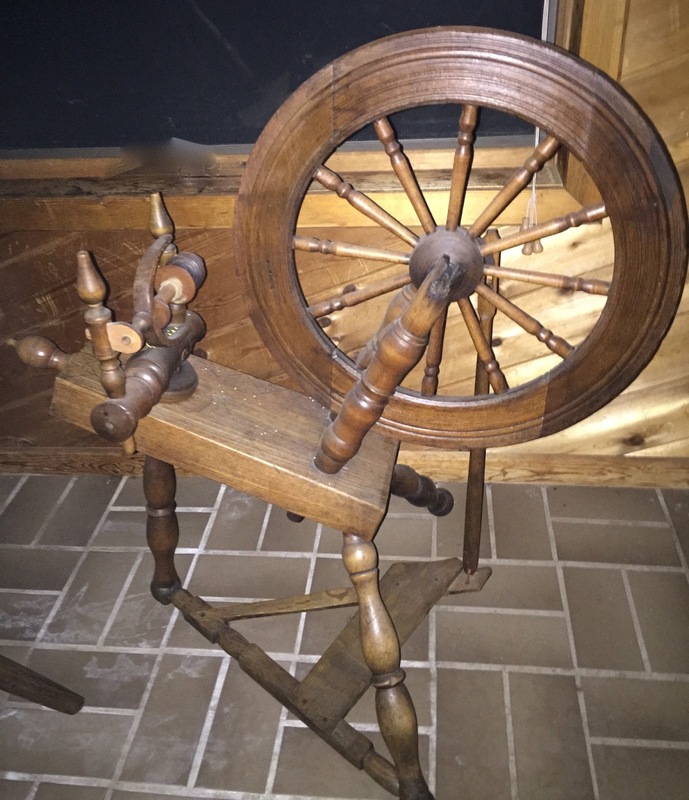 My first wheel came from a barn. The Saxony wheel, circa 1850 or so, was a long-neglected and non-working family wheel that had been stored for years in the hay loft of the family's farm in Hilliard, Ohio. The owner had no interest in it and was happy to sell it. The wheel needed a lot of restoration. M recalls that a prior owner had nailed a piece of wood to the edge of the wheel where it was damaged to keep the drive belt on and one of the maid uprights was missing. A major problem was the orifice, which was cracked and jagged where the original forge welding had failed. The distaff was also missing, but it was not important to me as I wasn't interested in spinning flax. 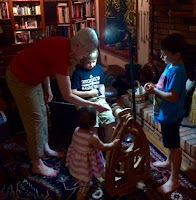 M, a very talented woodworker, restored the wheel. He found someone with a metal lathe to make a replacement for the broken orifice, turned a new maid upright, repaired the damaged wheel and replaced the leather bearings and the old, rusty and broken hooks on the flyer. It worked! I was seriously swamped in wool ignorance. Now I look back on the experience as an adventure in what not to do. First I opened my bag of fleece.....on the dining room table. That was not the smartest thing I've ever done. As you all know, I should have done this outside even if the fleece had been skirted. And it hadn't been. It was absolutely filthy. Armed with Elsa Davenport's book, "Your Handspinning," I had decided to spin in the grease, so after carding some wool, I got down to business. I sorta-kinda spun some yarn, but my best work seemed to be distributing bits of sheep dung on the wall behind the wheel. Really. I learned to spin on that wheel--but not particularly well. And with small children, I eventually gave up on the fleece and sent it to an Amish carding mill, where it was made into batting for a quilt. 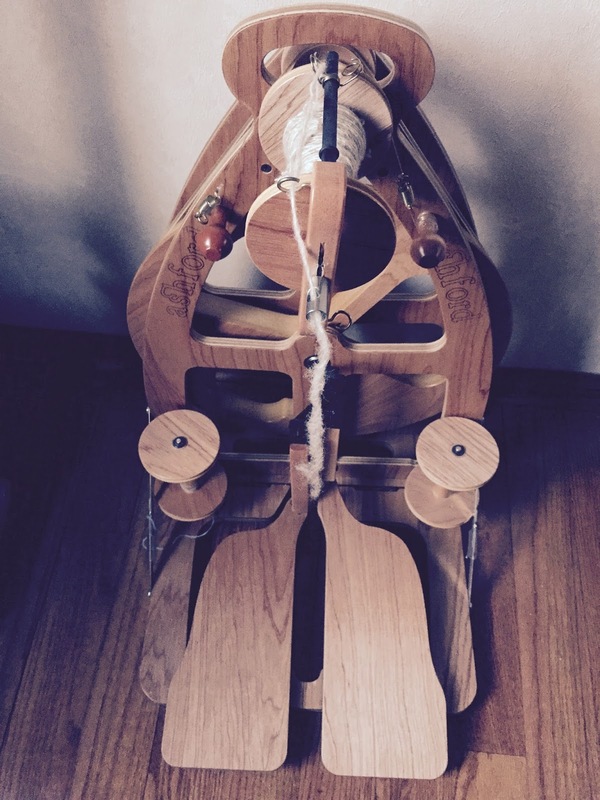 I spun over the years and even added a drum carder to my toolkit, but spinning, along with most of my fiber crafts, were relegated to lower priorities with increased responsibilities of a full-time job. With a flock in the family, I found myself lusting after beautiful fleeces as they were shorn. Acquiring them was easy. Spinning it was another matter. My intentions were good, but my priorities weren't. When I (finally) retired in January, I had two fleeces--a Coopworth and a Tunis--and a rather large assortment of wool from other sheep breeds. I made spinning a priority and I have vowed to spin all the wool by year-end. I set up a spinning 'station' in our main living space, which makes it easy to sit down and spin for 15 minutes or so. 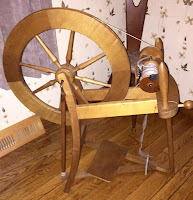 Then, shortly after the new year, M surprised me with an Ashford Joy--a wheel that spins and travels well. And it really is a joy! I'm not sure I can make my self-imposed deadline. We're at the year's midway point now, and I can't/don't want to devote entire days to spinning. (So much else to do!) But I'm working on the stash--and making progress. Thanks to spinning instructors, including Mabel Ross, Nelda Davis and Amy Tyler, and to practice, my spinning continues to improve and my fleece stash is shrinking. Next challenge: Design something and use the yarn. You're early spinning experiences remind me of my own. 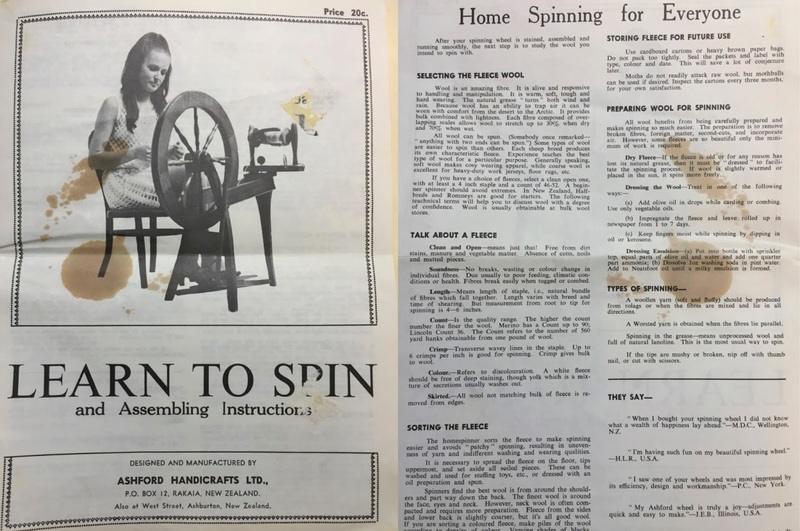 Finding a spinning wheel was a great challenge in the early '70s. I found a Saxony kit wheel through The Whole Earth Catalog, if I remember correctly. It was a double drive wheel which I had to finish myself. I was lucky. I met Myrlie, the weaver at Batsto Village. She kindly agreed to teach me. We had wonderful times spinning, weaving, and doing natural dye experiments. I used the same books that you did as resources. It is great that you found your way back to it. So good to hear from someone with similar experiences! It's been a good journey. Are you still spinning? Yes I still spin. I fell in love with spinning hair fibers when I did a lot of custom dog hair spinning in the 80's. I stopped spinning for about 25 years when other things got in the way, but picked it back up a few years ago. I spin alpaca now. 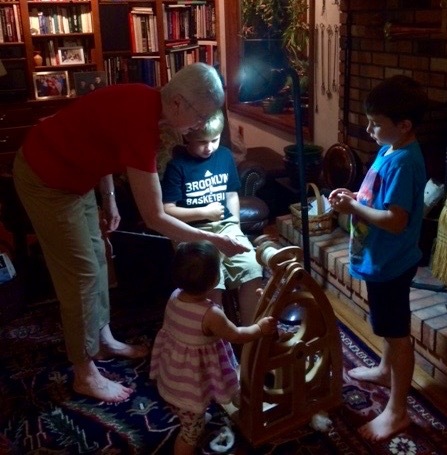 It is so much fun to spin the fiber from animals you have gotten to know. I especially love knitting with my yarn. Have you used your yarn yet? Great to hear! No, the yarn hasn't been used. Just back from MAFA! I hope you enjoyed MAFA. I haven't been in a very long time. Unfortunately, I have a significant fragrance allergy, so I cannot handle the fragrance issues presented by large groups of people. I belonged to the guild years ago and really enjoyed it. However, it is not something I could handle now.I live in Mount Laurel. Is that close to you? Great add, William. Thank you!